Myoids.com is dedicated to everything fake id and been in business for 18 years! Popular for ID editing and offering free fake id templates to download. Fakeidman’s opinion such templates are good for DIY online images. 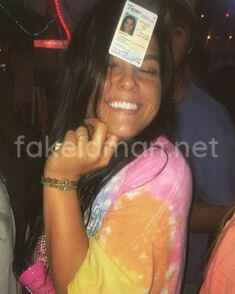 When you need a fake id image for online verification and have basic photoshop skills Myoids templates can help. Little editing of the template with an image of the card holder face and signature you can make a good id card. Real issued IDs of today makes using any home printer to clone one impossible. Anyone who thinks they can make a usable in real life fake id with a inkjet printer is not working with a full deck. Think about it, a fake id template printed still looks like a template. Will not have any features such as raised tactile text, no UV ink to pass under blacklight, and microprint will be poor as inkjet printers are not capable of reproducing such small fine print. Best is to find a good quality image of a real id and edit it in Photoshop creating your own fake id template. This project can take many hours to complete taking into consideration most real issued ids come with fine-line and/or microprint over the card holder image(s). One must use layers to trace whatever feature is over the cardholder face(s), then erase the image making a sold background. Edit to size, crop, and insert the new cardholder image. Last, place the security lines or microprint layer back over the face. Work on the signature sometimes doing the same thing as you did for the face image creating an overlay layer. Not to mention rebuilding the background under the signature you are editing out. Next, you got to edit out the text, rebuild the background, and find the same font for typing new text. This is just a fast detail of what you need to do, to make one in depth would take pages writing out the details. Myoids offers ID and Document editing services with the prices varying based on the editing job needed. Most important they have been in business 18 years as noted above! While other sites come and go this site has stood the test of time. Operated by a guy who does online design work for a living and this as a side business. Fakeidman has viewed his work and can vouch for him. Just keep in mind when it comes to IDs just editing the cardholder image can take so many hours and not even sure that service is offered by Myoids. You need a document or text on a ID card edited Myoids is a reasonable priced option. You want an entire ID card edited you might be better off just buying one. Many ID sites will make you a fake id card and send you just images when you have no desire to have the actual card mailed to you. Myoids offers free fake identity card templates for download. Card templates vary and do change often. Download links are to file hosting sites and often expire. They seem to update it every few weeks, so at times you have a few to choose from and at others times have many choices of id card templates. I believe they do this as it is costly to host the file on your website with direct download due to the large amounts of data transferred. MyoIDs features all 50 US states real issued driver license images and some information of each states features for reliable refrence. When you need to see what a states issued drivers license looks like they are a great source including the additional provided information. Closest you will find to the “barbook” guide online and it is free! Myoids includes a Fake ID Websites review section where you can leave reviews or questions about the listed ID makers. Also a section where you can request and trade ID card templates. Myoids is a great site for trading templates and I have downloaded several good US state licenses. Got to keep checking as they always change what you can download is kinda a pain. I am in need of a florida fake id. Please, who is dependable? Awesome website offering many resources for templates. It only took me a simple click of the share button to get a free new 2018 Cali fake id PSD template which I would have had to purchase for $$$ on template selling sites.